This guide wasn’t made for Ohio, but much of it is relavent. Check out the section on plants, most of these threaten Ohio. Jen McBride, an environmental science graduate student, created a pocket guide titled “Aquatic Invasive Species Threatening the Crown of the Continent.” The tool aims to help identify and prevent aquatic invasive species from invading the Crown region. Species included in the guide were selected by agency professionals based on proximity to the Crown, potential impacts of invasion and likelihood of introduction. The 116-page guide will be distributed to land managers and others. View it online. Have you been wondering what the dense stands of attractive purple flowers are that you’ve been seeing along roadsides and wet areas? It is probably purple loosestrife, a quite attractive plant. However, beneath this superficial beauty lies an aggressive, untamable beast. If left uncontrolled, purple loosestrife will take over our remaining wetlands. Native to Europe and Asia, purple loosestrife (Lythrum salicaria) was speculated to be first introduced to the United States from colonial settlers as ship ballast was unloaded from their sailing ships. Additionally, horticulturists imported seeds for landscaping and gardens. Purple loosestrife grows in dense stands along waterways and wetlands, choking out native wetland species. 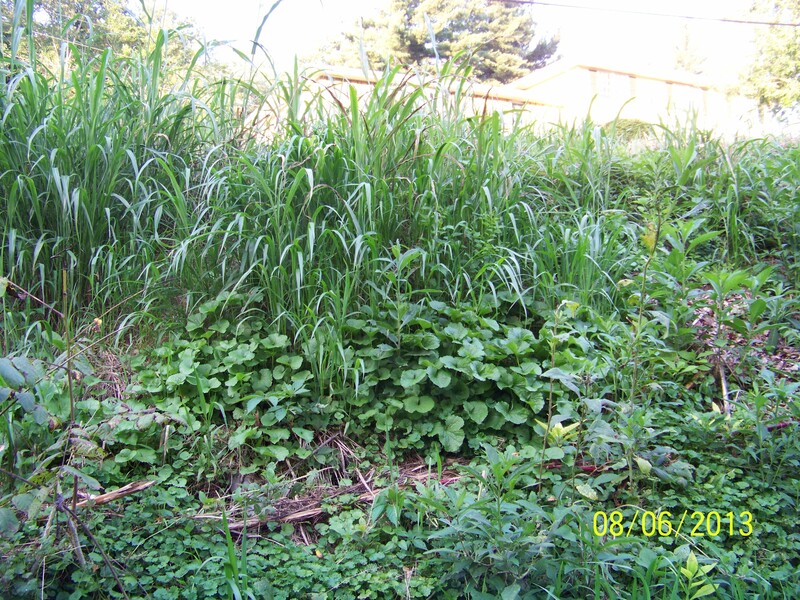 Thick growth can reduce water flow by clogging drainage ditches. With a seed production as high as 2 million per plant, the ability to reproduce from fragments of its stem, and a high tolerance to water and variability to soils it has spread across most of the United States and can be found in many areas in Ohio. Once established, an individual plant can often live as long as 20 years. Showy magenta to purplish flowers with 5-7 petals on long 4- 18 inch spikes makes this an easy plant to identify from July to September. Leaves are attached to the stem in sets of two or three. 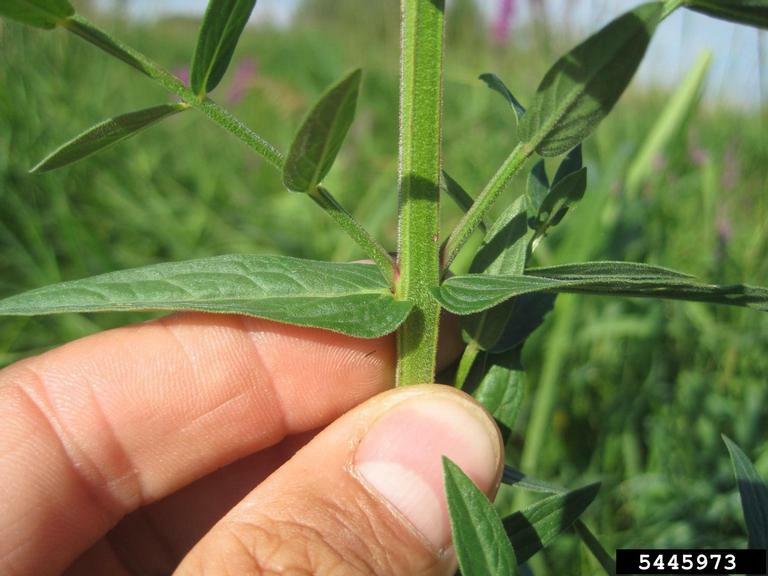 Stems typically have 4 or 6 sides and are slightly hairy. In the fall, leaves turn vibrant red in color. Plants often have up to 50 stems of up to 8 feet tall, with the whole plant sometimes as wide as 5 feet. No other wetland plants will create dense stands and have purplish flowers. Ohio regulations prohibit the sale of purple loosestrife without a special permit from the Director of the Department of Agriculture. Although some sterile varieties of purple loosestrife are available, they often produce viable seeds when cross pollinated with other cultivars. 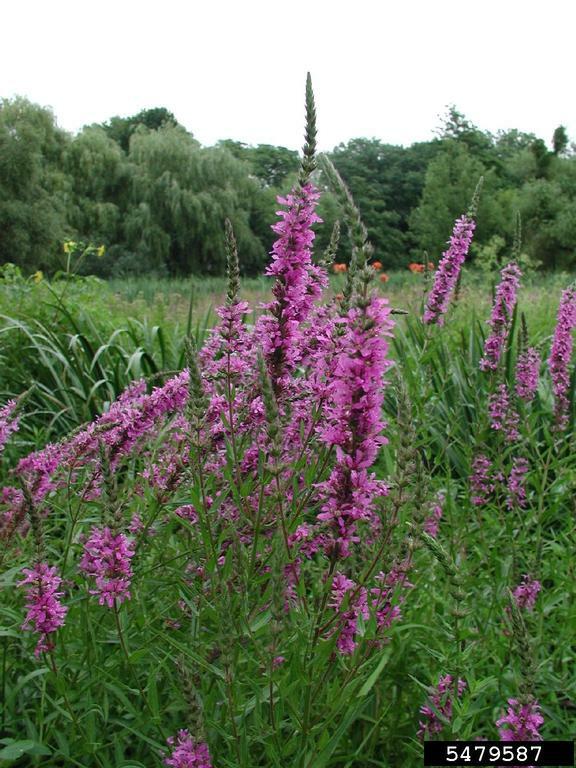 If the look of purple loosestrife is what you want for your landscape, play it safe and consider using these native alternatives: Blazing stars (Liatris spp. ), bee balm (Monarda fistulosa), swamp verbena (Verbena hastata), joe-pye weed (Eutrochium fistulosum), and cardinalflower (Lobelia cardinalis). You can find additional information here: http://www.nps.gov/plants/alien/fact/lysa1.htm. 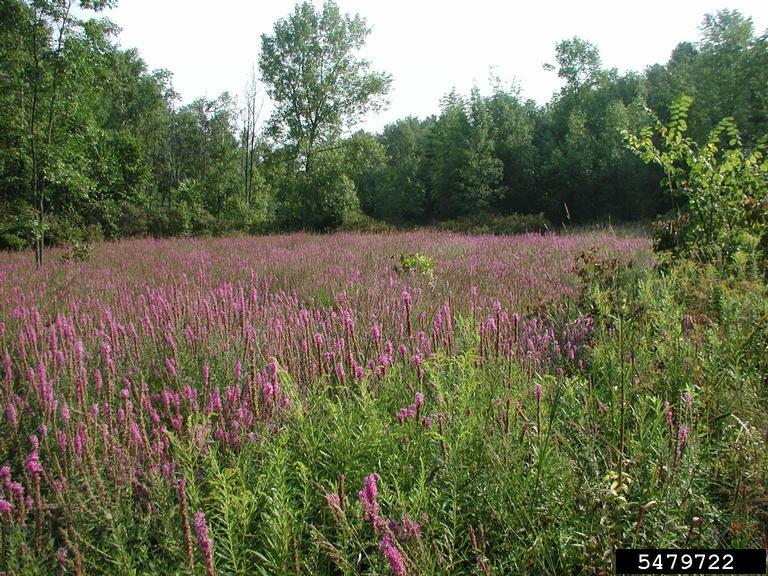 If you are interested in volunteering to map purple loosestrife this summer or have any additional questions contact Eric Boyda at appalachianohioweeds@gmail.com or 740-534-6578.